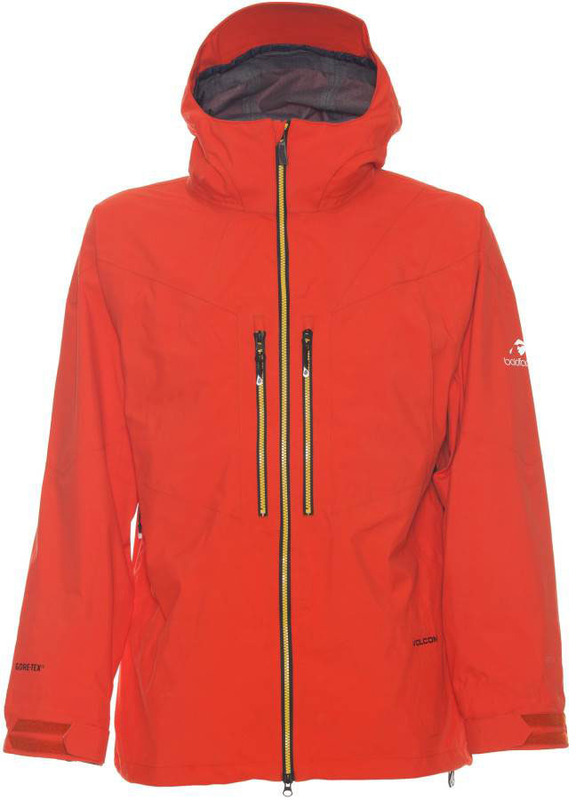 The Volcom Baldface Guide Jacket is one of Volcom’s more conservative looking jackets but it offers up a very solid technical 3 Layer shell. Volcom is known for their great construction and durability. 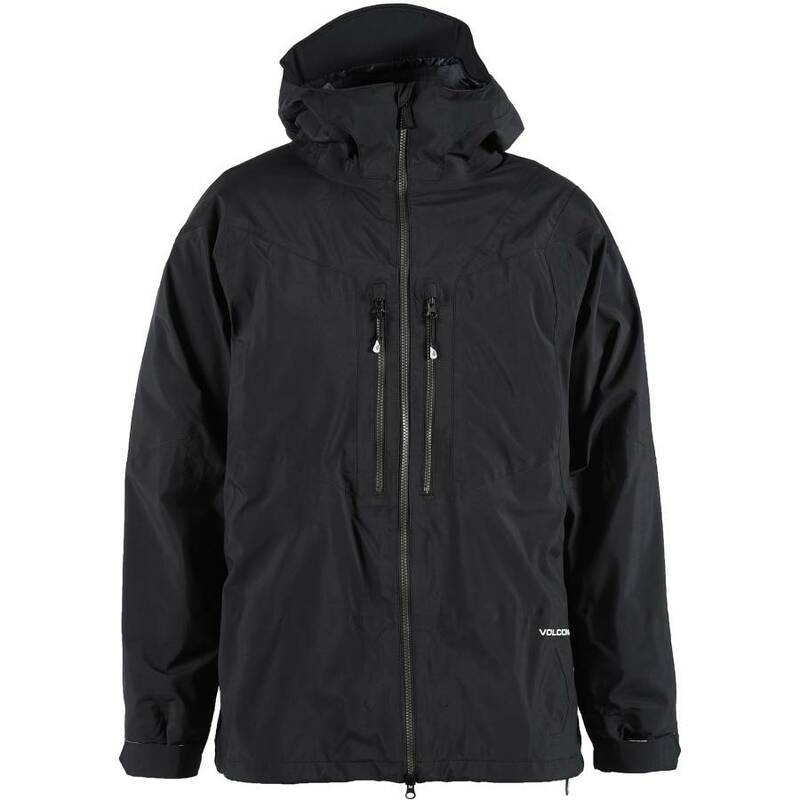 This jacket has some serious waterproofing going on with 3 Layer Gore-Tex as well as some pretty solid breathability. Three Layer Gore-Tex isn’t cheap so that is why this jacket is $500. It’s also really well made and will last a very long time. This is really best for those that do a lot of time in the backcountry or those that ride a ton in really wet weather and want the highest waterproofing tech. The jacket feels light and it’s easily packable but it’s also feels sturdy and not too light. Even with the flannel lining in the back It still packs well. It also gives you a little more warmth than a normal shell. This is all about shielding wind and water increadibly well and with a few good layers underneath you will be pretty much free from the elements you are playing in. I’m also personally happy to see an continuous hood so it completely shields your face from the elements when your goggles are on and it’s fully zipped up. I know a loot of people love articulating hoods but I’d much rather have a contour hood like with Volcom. Also Volcom’s jacket to pant interface is pretty nice because it’s a zip interface. They have a patent on this so you will only find this zip interface with Volcom. Let’s face it. For most this is overkill and most don’t really need this much waterproofing. However those that actually need it will love it and those that are into high end tech will like it too. We try to get as many images of the Volcom Baldface Guide, but forgive us if they're not all there.